Our cleansers are unique in that they do not contain any fillers therefore they are very concentrated. Free of sulphate/phosphates and harsh chemical detergents making them safe & non-drying for even the most sensitive skin types. 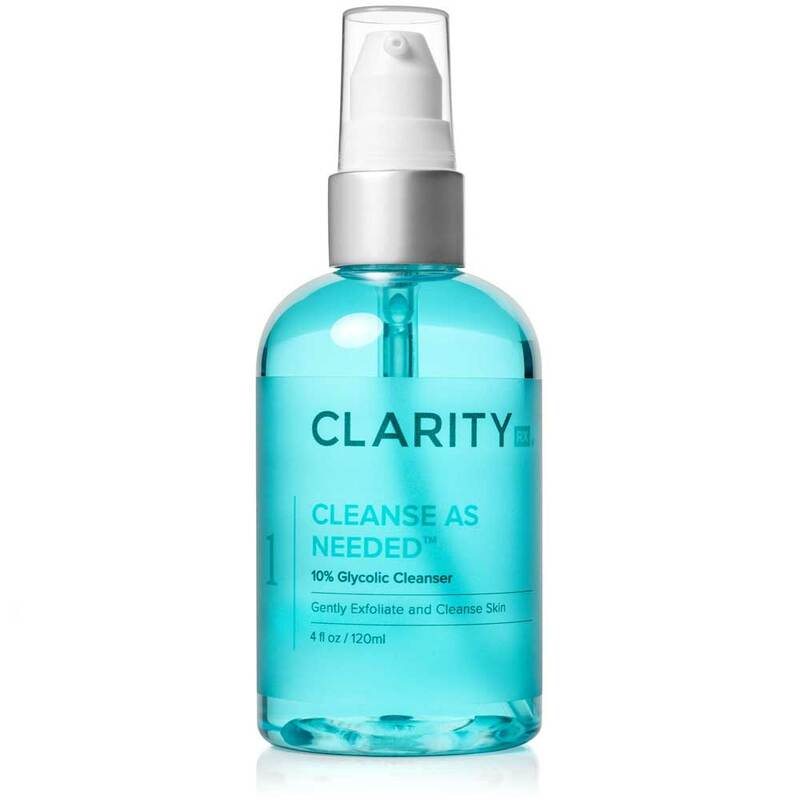 This cleanser is a deeply cleansing face wash with gentle exfoliating properties that will leave your skin glowing, soft and smooth. Glycolic sloughs away dead skin, encouraging skin cell turnover, leaving your skin free of imperfections. A nourishing mix of olive oil, rose hip seed oil and essential oils penetrate your skin to promote a healthier, more luminous complexion. A deeply cleansing face wash with gentle exfoliating properties. 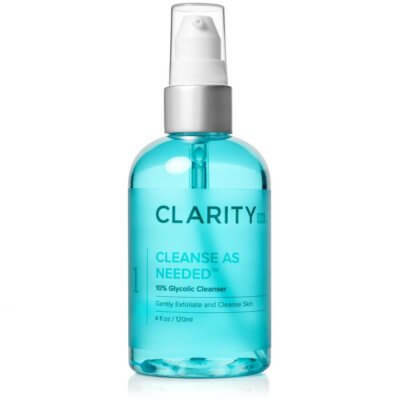 ClarityRx Cleanse As Needed 10% Glycolic Cleanser will leave your skin glowing, soft and smooth. Glycolic sloughs away dead skin, encouraging skin cell turnover, leaving your skin free of imperfections. A nourishing mix of olive oil, rose hip seed oil and essential oils penetrate your skin to promote a healthier, more luminous complexion. Purified Water (Aqua), Sodium, Olivate (Olive Oil Castile), Glycolic Acid, Mandelic Acid, Glycerin, Rosa Rubginosa (Rose Hip) Seed Oil, Chamomilla Recutita Flower Oil, Citrus Paradisi (Grapefruit) Oil, Citrus Medica Limonum Fruit Oil, Calendula Officinalis Seed Oil, Chondrus Crispus (Seaweed) Extract. This cleanser has become my new holy grail. I’ve suffered from cystic breakouts my entire teen and adult life. 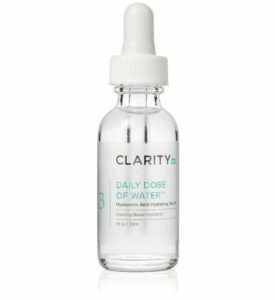 After trying countless products, usually with high concentrations of salicylic acid, with no results, I figured glycolic acid wouldn’t be intense enough to make a difference. I was wrong! This has been first and only cleanser I’ve used that’s made a significant change in my skin. After a a week of consistent use, I noticed no new breakouts, a more even tone and improved texture. I’ve used this product for more than a month now and I can’t believe how amazing my face looks! 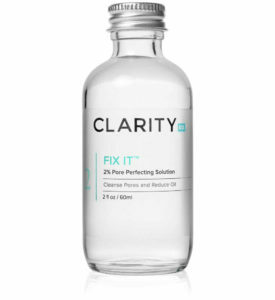 I first used it with the Problem Skin Kit – I highly recommend using it in combination with all of the products included in the set, especially Fix It. If you’re thinking of giving this a try – I say go for it!